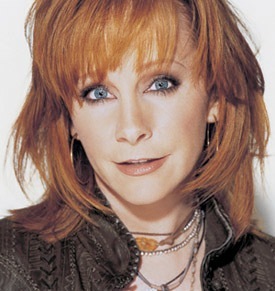 Valory Music Co., the independent label formed last year as a subsidiary to Scott Borchetta and Toby Keith’s Big Machine Records, has added another huge feather to their proverbial cap: Reba McIntire. The announcement appears today on Valory Music’s website. A multimedia entertainer, Reba sold more than 55 million albums, won two Grammy awards and starred in the popular sitcom Reba! She has for a long time been signed with MCA Nashville, a division of Universal Music Group, where she met Borchetta, who at the time was Senior VP of Promotion. McEntire and Borchetta worked closely together at MCA Nashville creating a strategy that dominated airplay, sales and touring at a time when few other female artists were doing it. During their collaboration, Reba and Borchetta had 14 number 1 hits and sold over 22 million records, giving MCA Nashville the title “Label of the Decade” for the 1990’s. Together, Big Machine and Valory are two of the most successful independent projects in town, selling records for a stable of artists that includes the aforementioned Jewel, Taylor Swift, Trisha Yearwood, and Emerson Drive. McEntire is expected to release a single with Valory Music next spring, with a complete album coming in the summer of 2009.